Ah, nothing quite screams summer and warm weather than an increase of your skin's glow factor, don't you think? So it only seems fitting that I give you a tour of this year's 'Summer Glowdrobe', and I've managed to whittle it down to just four of my faves. For an everyday highlighter, the Anastasia Beverly Hills Sun Dipped Glow Kit has been working perfectly. 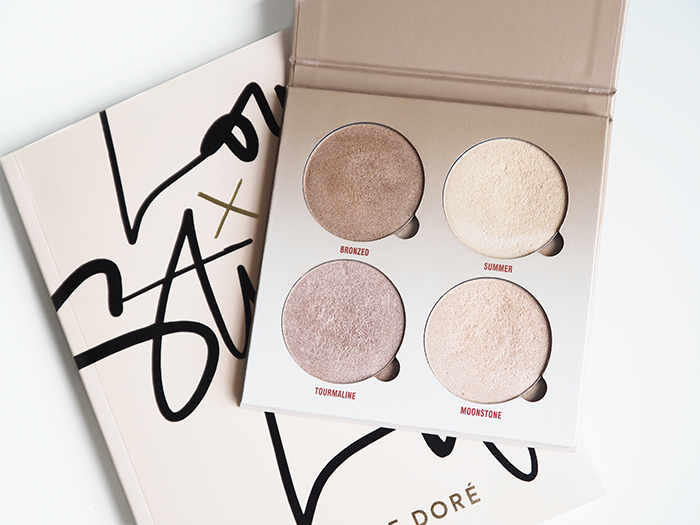 The bronzy tones are great to add a very subtle glow to your bronzer to amp up the glow to level 1,000. As for the other shades, they're incredibly versatile alone or combined; the formula of these is super finely milled so there's no chunky glitters, making them the most wearable of all my picks. They can be applied for a subtle glow from within, or layered/applied with a more dense brush for a more intense highlight. There's just something so summer appropriate of switching to a gold highlight! 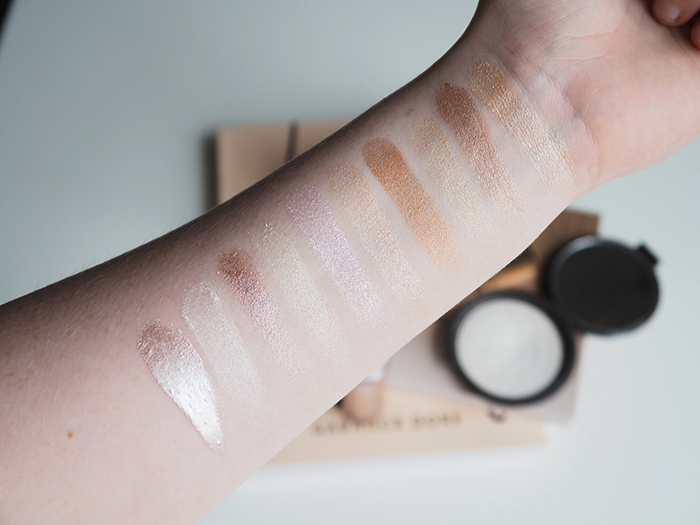 When I'm wanting a more intense glow job, I go for my pale girl approved holy grail: Becca Shimmering Skin Perfector in Pearl. As you can see, highlights don't really get whiter and brighter than this, which is why I love it so much. 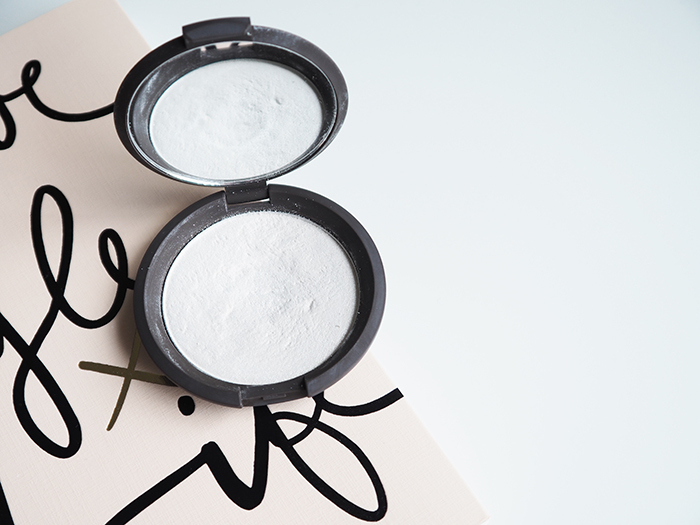 You can go straight in with your brush of choice to glow like a queen, or you can use it as a cheek topper on the very highest points of the face for a beautifully understated effect. I honestly don't even think this one needs an explanation, albeit for the sake of the blog post of course I'm going to give it it's five seconds of fame. 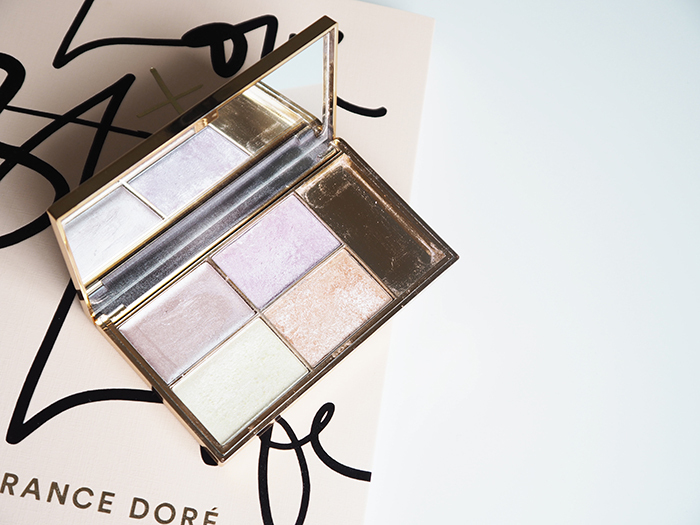 The Sleek palette in Solstice is probably the most affordable highlighter that I own, but though she be little she is fierce to say the least. The pigmentation of these shades is beyond incredible, and I love the lilac and orange shades as they are so unique yet surprisingly wearable. I will always repurchase this one. When I'm wanting to go OTT and take my highlight to the next level, there's only one little guy I turn to. 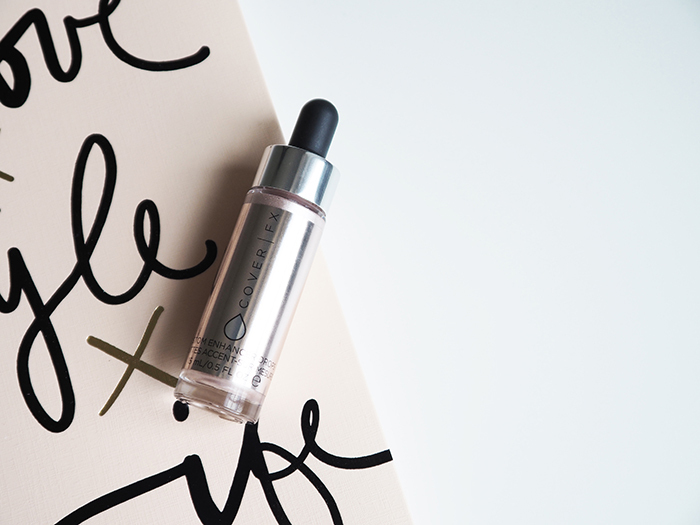 The newest addition to my makeup collection: the Cover FX Custom Enhancer Drops in Celestial. The truest way of describing this, honestly, is liquid metal; you'll see in the swatch below how insanely pigmented this is. I admit, it looks rather daunting but when blended with your fingers it transitions seamlessly into the skin. I also love to layer this under my powder highlights to get that extra pop! If you managed to get to the end of this post, congrats, as I know it's been rather long winded. 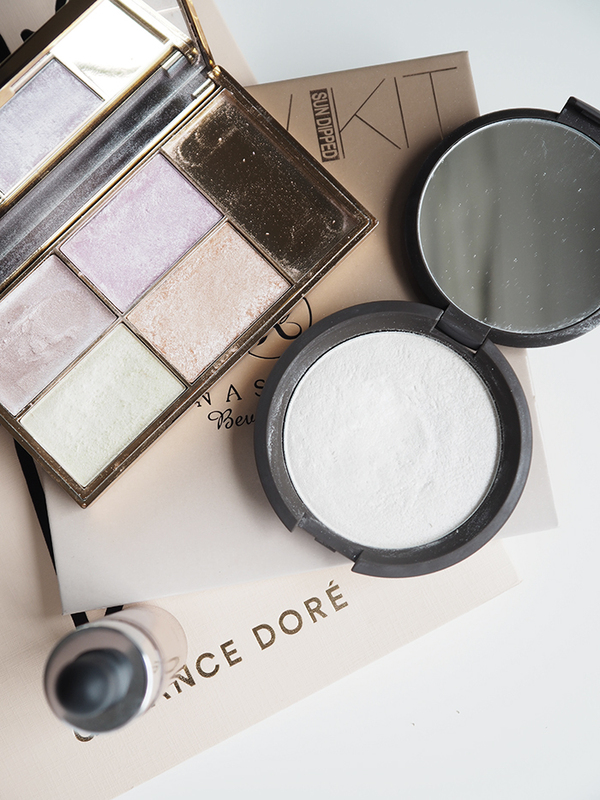 But who doesn't love to indulge in a good highlighter? And if you can't do it in summer then when can you! 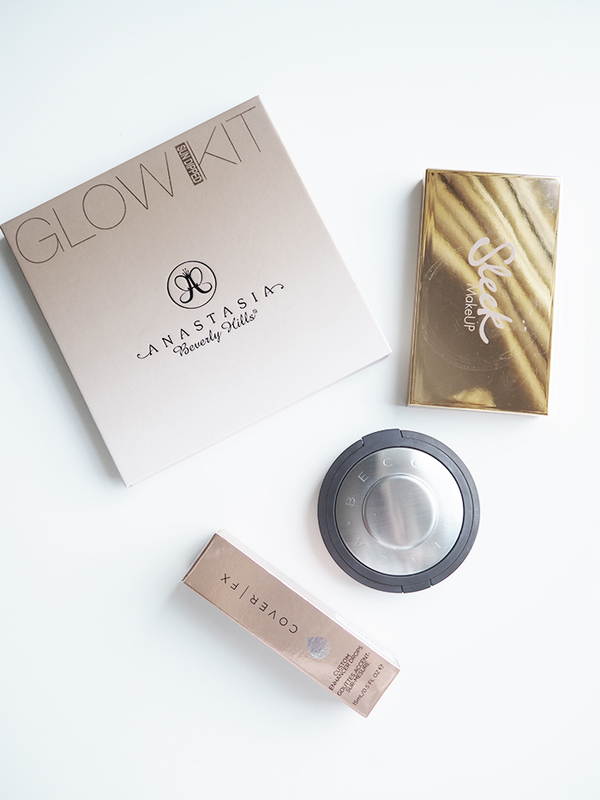 What are your staple glow getting products?